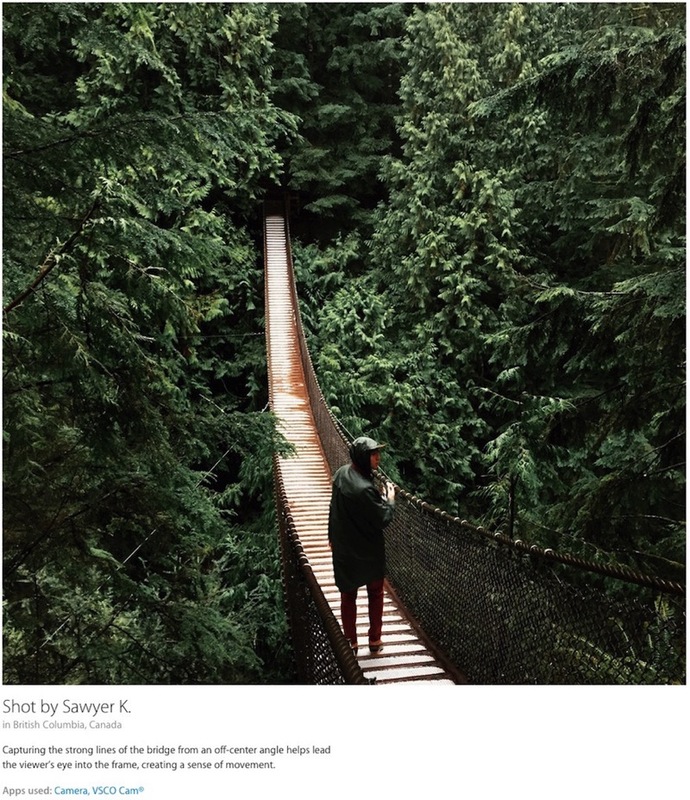 Apple launched a new global advertising campaign called ‘Shot on iPhone 6’ yesterday, and images featured are making their way around the world, popping up on billboards, transit ads and magazine ads. The photo that was chosen by Apple is called “Ice Bubble Reflections” and was taken at Joffre Lakes in British Columbia, Canada. 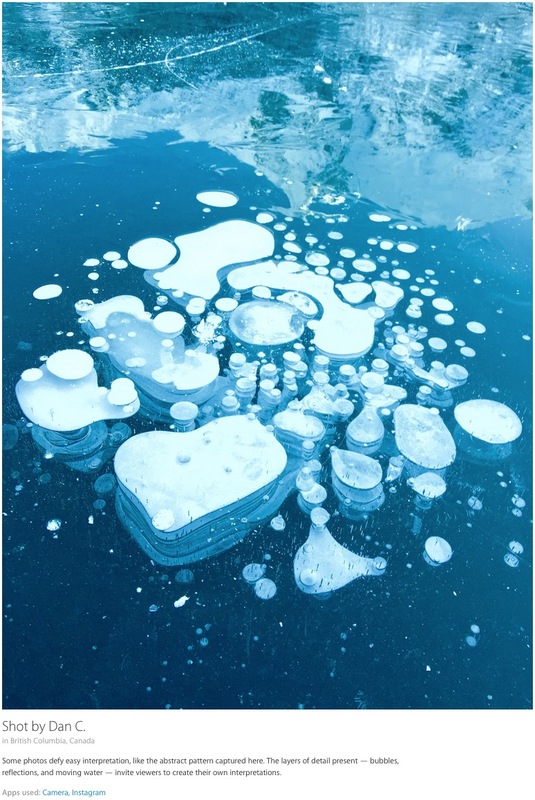 The bubbles trapped in the clear ice are methane bubbles from decaying vegetation at the bottom of the lake. As the ice forms, it creates incredible patterns that have layers of contrast and shapes right through the ice. It’s truly one of nature’s most beautiful phenomenons, and a favourite subject for photographers who know where to find them. 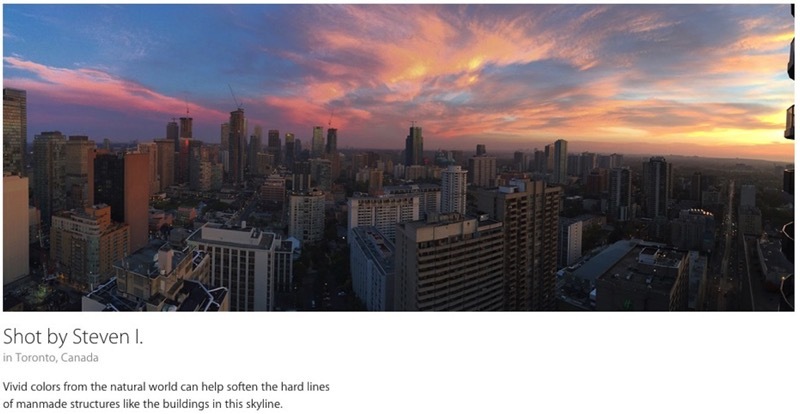 Meanwhile, one billboard has popped up in Toronto, at the Adelaide Fire Station, according to this ongoing list being compiled by featured photographer Julian Bialowas (via AppleInsider). 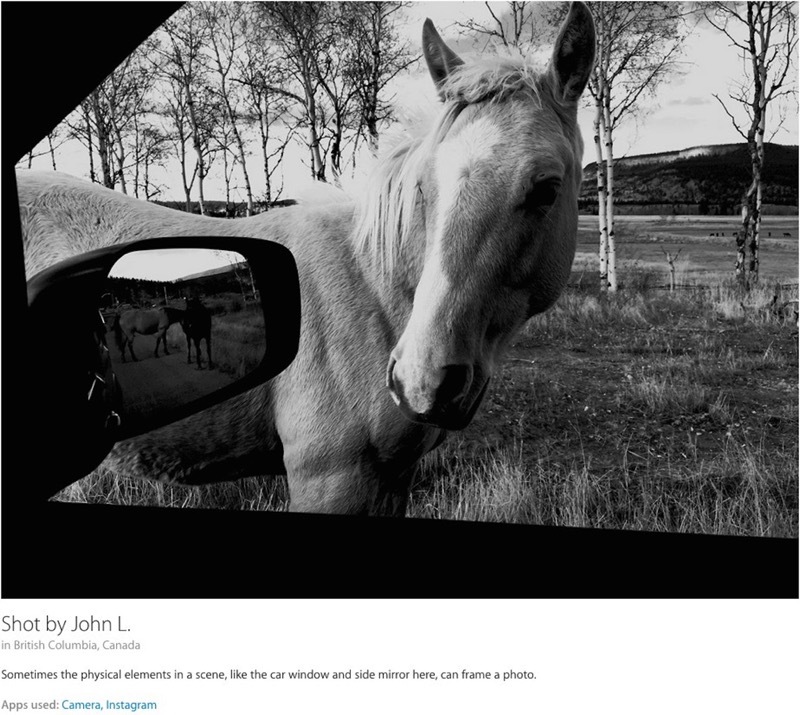 Below are the other pictures taken by Canadians being featured by Apple. 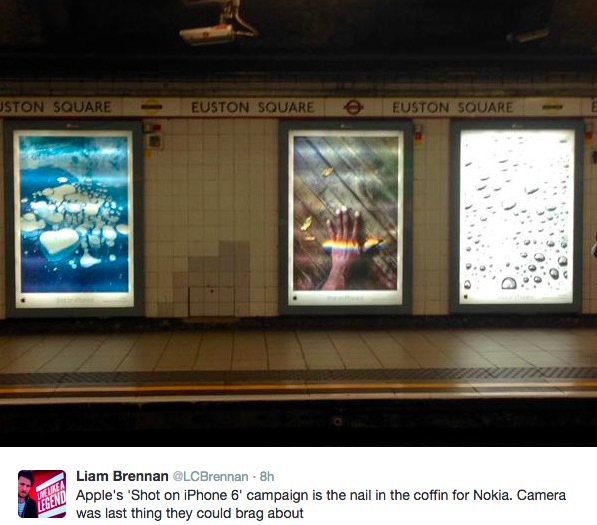 Let us know if you’ve spotted them (and Dan’s above) in your city or on the internet, as these people have no idea where their images are popping up!